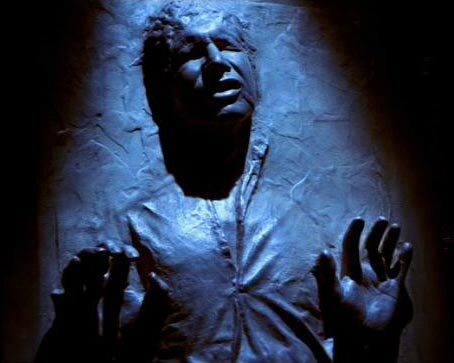 Remember Han Solo frozen in Carbonite from Star Wars? That is basically what the plastic tiles I made for the upcoming Hall of Human Life exhibit at the Boston Museum of Science resemble. Using products from Smooth-On Inc., I mixed up Alginate, a material derived from seaweed, poured it into a containment box, had models place their clean feet in for an impression, and then poured liquid plastic resin into the negative form to create each of the 50 tiles. Here I am pouring Smooth-Cast 300Q liquid urethane plastic. I had to act quickly because the chemical reaction takes place so quickly, once the two components are mixed together I have less than a minute before it sets. Last night I attended Net Impact Boston’s Sustainable Design panel hosted by Dassault Systems. The panel was moderated by Asheen Phansey, North American Sustainability Leader and Sustainability Product Manager at Dassault Systemes. Panelists included Johanna Jobin, Sustainability Manager at EMD Millipore; Peter Girard, GaBi Product Manager at PE International; and Dr. Matthew Gardner, Director at Sustainserv. To be honest, I didn’t learn anything new about PLM (Product Lifecycle Management) through the lenses that I am familiar with: LCA (Life Cycle Assessment) or PDD (Product Design and Development.) However, it was the specific stories that resonated most with me. I won’t disclose specifics regarding the clients or projects of the various firms, but I will highlight the over arching theme that often there are conflicting stories told by what one organizational function requests and what the data show. The panelists all agreed that more often than not a rough LCA is enough to generate actionable results. The 80-20 rule in effect.